Gunars is Abodebed’s popular Head of Housekeeping. Throughout his time with the company he has endeared himself to both staff and customers alike with his winning personality and exceptional housekeeping skills. Originally from Latvia, Gunars has truly international credentials having worked in Sweden and Scotland before joining the team in Hemel Hempstead in May 2011. Applying the Russian saying “The one who wakes up first has the slippers” which means in Gunar’s native language that it is good to wake up early he starts his day at 5.10am. After breakfast he has a 30 minute drive to arrive at Abodebed for a 6.30am start. “The earlier you start the quicker you finish” is another of his favourite mantras. His first job of the day is to sort the bedding and towels. On an average day he will service 10 apartments with each apartment being cleaned twice a week: either Monday and Thursday or Tuesday and Friday depending on the comings and goings of tenants. Bedding is changed once a week and towels and bedroom mats, twice a week. Sorting out the linen and towels takes at least one hour meaning that by 7.30 ish Gunars is ready to clean his first apartment. “At this time in the morning I can only clean the apartments of people who have left for work early but I can usually make a start between 7.30 and 8,” he explained. A Gunars clean does not involve a quick flick round with a duster instead he starts by stripping the beds and replacing all the towels and floor mats if they are due a wash. He then makes the beds, cleans the kitchen and puts the dishes in the dishwasher before moving on to the living room which is thoroughly dusted and tidied. Next he blitzes the bedrooms before tackling the bathroom. All floors are then vacuumed (and mopped if necessary). 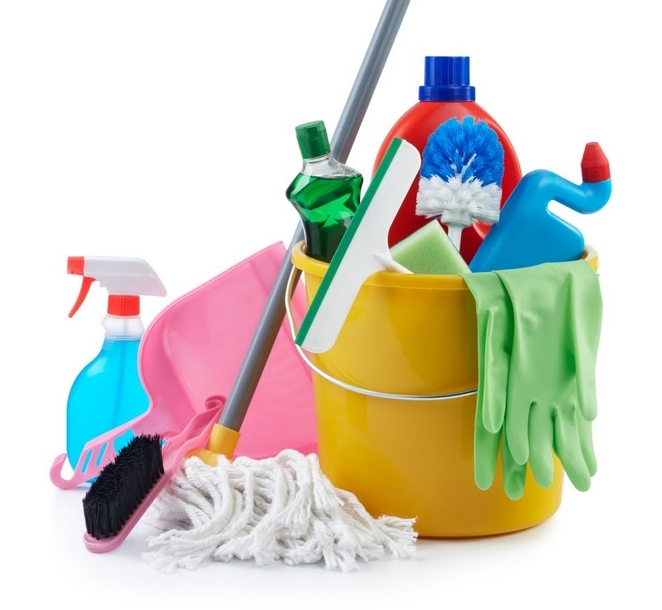 If he happens to be cleaning an apartment on changeover day then Gunars does all of the above as well as cleaning kitchen cupboards and checking that windows, window frames and all dishes are glistening. Depending on his workload – and the tidiness or otherwise of that day’s guests! – Gunars normally finishes his working day between 4pm and 5pm. Once he is satisfied that everyone is happy he returns to enjoy some much needed down time with his three year-old son and 10 month-old daughter.